Get creative at the hottest spot in Baltimore this Valentine's Day. 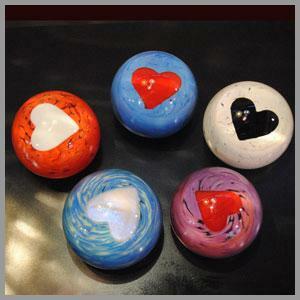 Have a seat at the glassblowing bench and feel the thrill while you shape a beautiful Valentine heart paperweight out of solid molten glass. A perfect way to commemorate love in the new year! Our evening event includes wine & cheese. Saturday is fun for the whole family. Bring your sweetheart, friends or come solo. Must register online, space is very limited. In our weekend classes students will work intensively over the 6 hour day to learn or improve glassblowing skills. Private instruction, corporate & school group activities also available.